We strive to use our privileged position at a world-renowned academic institution whose mission seeks to promote women’s education and empowerment, to provide a platform for the voices of marginalized peoples particularly women. We seek to educate the broader Barnard community on the injustices that face marginalized women (including preexisting systems of oppression including but not limited to: gender, racial, and socio-economic class inequities) which are exacerbated by climate change through having an active presence on campus and as part of the activist community that encourages students to engage with the struggle for social justice. 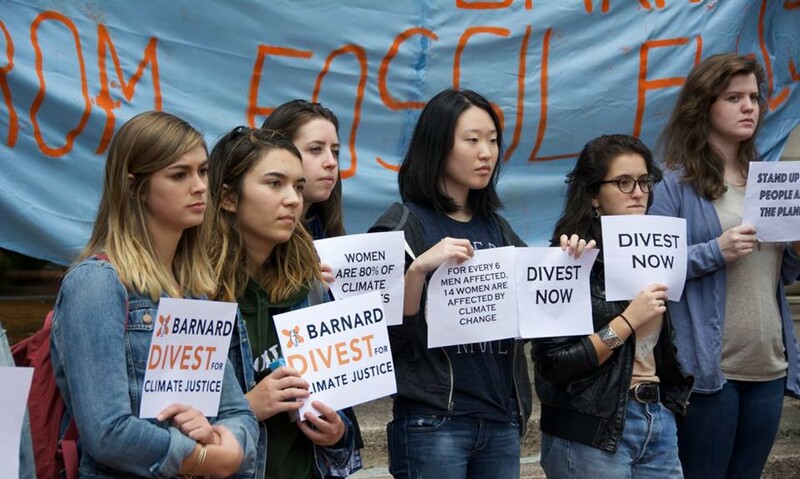 Moreover, Divest Barnard sits on the Presidential Task Force to Examine Divestment voted by the Board of Trustees in December 2015. This Task Force includes Trustees, staff, faculty, and students and has a one year timeline to create a report on what divestment would mean for Barnard to be presented to the Board of Trustees for a vote in Spring 2017.